WEISE® have introduced a lightweight waterproof neon yellow jacket that will not only keep riders dry during autumn/winter but will also increase their visibility as the nights draw in. During October there are only 11 hours of daylight in the UK and by December the number drops to eight. 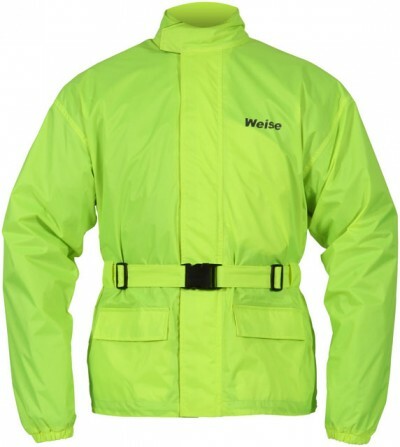 The Neon Yellow Viz rain jacket is manufactured from waterproof material with taped and welded seams, plus reflective stripes on the upper arms and back for extra visibility. Designed to be worn over either leather or textile motorcycle clothing, the Neon Yellow Viz jacket has a mesh lining so that it is easy to put on and remove. Its high collar has a brushed lining for comfort and an adjustable waist belt and pull-cord at its base help the wearer create a wind-proof fit. In addition to two external pockets with Velcro® closure there is an easy access pocket beneath the storm flap that is ideal for wallet or mobile phone. The Weise Neon Yellow Viz jacket is available in sizes S – 5XL. 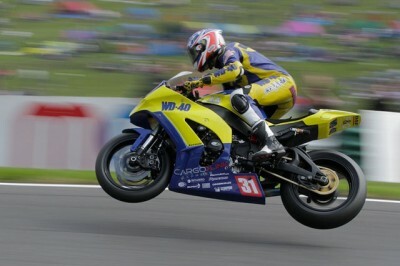 Team WD-40 are celebrating two stunning wins from Tommy Aquino and Joe Fran cis in front of a bumper crowd at Cadwell Park over the Bank Holiday weekend. Aquino got the wheels in motion, maintaining his sensational recent form with a brilliant maiden victory in the Pirelli National Superstock 1000. Success on a sun-kissed afternoon saw the 21-year-old Californian storm up from seventh to third in the championship standings, and kept him in title contention with three races remaining. Following on from Aquino’s victory, Team WD-40 were celebrating again less than four hours later, when Joe Francis got the better of Andy Reid after a titanic tussle for glory over 12 epic laps in the Monster Energy Motostar. It means 15-year-old Joe, from Backford near Chester, now enjoys a 36 point lead over Tarran Mackenzie at the top of the Moto 3 class championship heading to Donington Park in two weeks’ time. Draggin Jeans are official partners of FIXI Crescent Suzuki and the whole crew wear Draggin Jeans or Shorts during the eni FIM Superbike Championship at race-tracks around the world, and now you have an opportunity to win a pair of its Drayko Drift jeans worth £149. The Draggin Drayko Drift jeans are made from distressed denim for a contemporary look, all seams are reinforced and they are designed to fit comfortably over motorcycle boots. 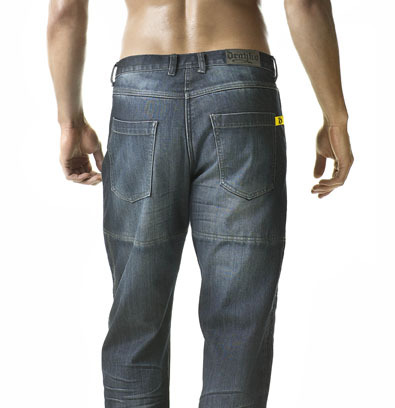 To win this superb pair of Jeans you just need to register with FIXI Crescent Suzuki HERE. If you are already a registered user, enter the competition HERE. If not, you can sign up now, It’s free and easy to do and you get the chance to win with FIXI Crescent Suzuki and Draggin after registering.